Associate Professor of Architecture at the United Arab Emirates University. The exhibition explores the transformative aspect of the housing model of Emirati national houses, also known as sha‘bī (folk) houses, introduced across the UAE from the 1970s to offer homes and modern amenities to a fairly transient population. National houses are found in residential neighborhoods of most cities in the UAE. The standard housing typology is composed of a series of rooms overlooking a central square courtyard. The houses were initially designed as a standard model, but over the years, resident families made various architectural modifications to the basic structure, reflecting their changing lifestyles. Curated by Yasser Elsheshtawy, Associate Professor of Architecture at the UAE University and a noted expert on regional architecture and urban planning, the exhibition features historical and technical materials including detailed architectural analysis of a current national house, archival newspaper clippings documenting the initial start of the National Housing program, and 1970s photographs by Dutch photographer Gerard Klijn. Additionally the exhibition includes a specially commissioned series of new images by Emirati photographer Reem Falaknaz. 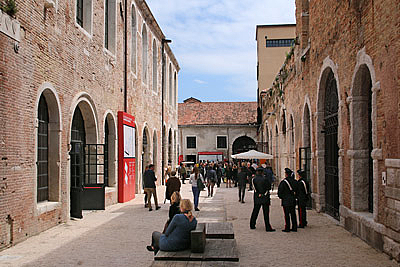 Presented in the UAE’s permanent pavilion in Venice’s Arsenale – Sale d’Armi, the exhibition will be divided into four interwoven sections conceptualized as a series of scales moving from the regional down to an individual house, laid out on a grid separated by wall panels that draw visitors through the story of the national house. Archival images, documents and videos that record the establishment of the National Housing project throughout the 1950s, 1960s and 1970s. Included are aerial photographs captured by British Petroleum, initial architectural drawings, images of sha‘bīyaa (folk) neighborhoods by Dutch photographer Gerard Klijn as well as the Abu Dhabi Company for Onshore Petroleum Operations Ltd. (ADCO), and archival newspaper clippings from Al Ittihad and other local publications. The section examines the urban fabric of national housing developments at a city-wide scale. An interactive map provides insight into the landscape of the UAE and the widespread development of traditional residential, or sha‘bīyaa (folk) neighborhoods. 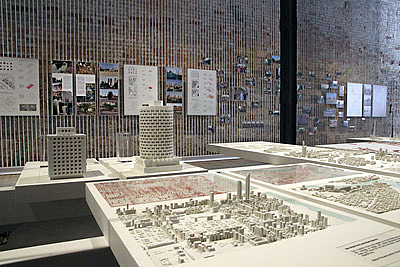 It is accompanied by architectural models at various scales, analytical diagrams, photography and video. This section develops a detailed analysis of the national house at an individual level, through massing models, elevation drawings, diagrams representing individual changes to each building within a contemporary neighborhood and a large scale model of a group of houses. 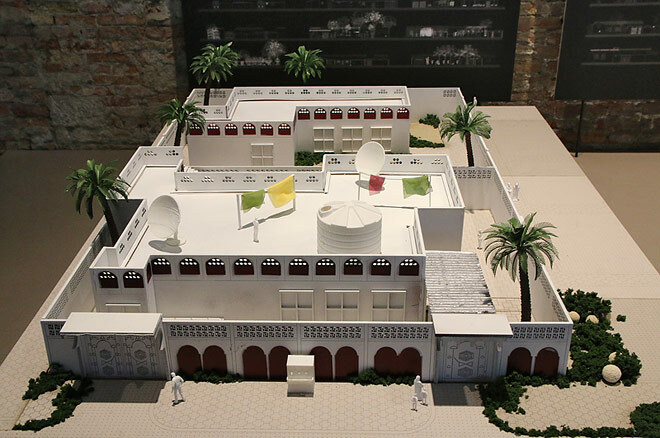 The centrepiece of the exhibition presents a detailed case study of a single national house and the Emirati family who continue to live there, through a detailed architectural analysis as well as intimate family memories. The section is accompanied by a specially commissioned series of images by Emirati photographer Reem Falaknaz, who has travelled to these neighborhoods to capture the human aspect of living communities. The accompanying publication will contextualize the exhibition and associated research, providing a backdrop to the content displayed in the exhibition. It features essays and academic studies by architects, sociologists, conservators and scholars.